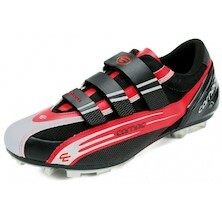 Going off road places great strains on bike shoes. 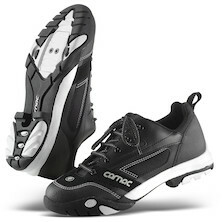 Not only should they be comfortable, relatively stiff, solid and stable on the pedal platforms; but also mud and water repellent, with soles that grip well during hike-a-bike sections. 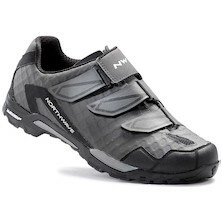 Good quality mountain bike footwear should shed mud quickly and easily, as well as being straightforward to clean and generally low maintenance. 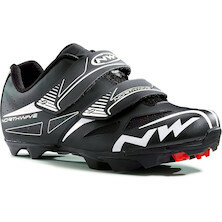 That's a lot to ask from any product, so mountain bike footwear really does need to be up to the job in hand. 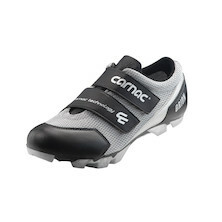 Whether you choose to ride clipped in or flat pedals, footwear, like all of the rider to bike contact points, is a number one priority; and you can rely on us at On-One to hand select only MTB shoe models that we would be happy to use ourselves.